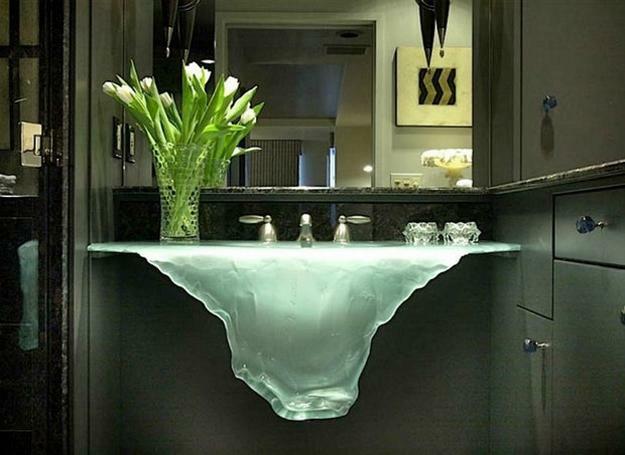 Latest bathroom design trends bring a wide variety of beautiful sinks and vanities. 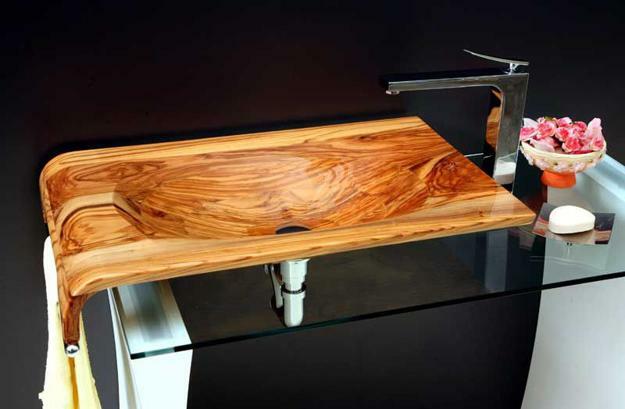 Glass, metal, natural stone, and wood are just a few options for sinks made of natural materials. Stylish natural textures and colors adorn new basins offering eco-friendly, spectacular, and sophisticated ideas for modern bathroom remodeling. Colored ceramics and transparent glass are top trends in bathroom design also. There are many attractive sink designs on the market, and it is not easy to choose the perfect fixtures for your bathroom. 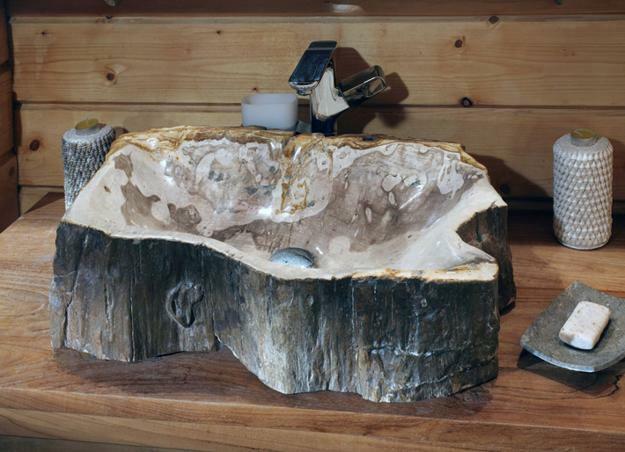 Lushome reveals the top bathroom trends in sinks made of natural materials and publishes the collection of gorgeous, innovative, and modern basins. The pictures of stylish fixtures will help understand the latest trends in bathroom design and decorating, and select the best sink design for your home. Earthy colors of natural stones, a majestic shine of metal basins, classy ceramics, and warm wood create a different mood as you desire in your bathroom. Most popular stones for modern bathroom sinks are granite, marble, and onyx which feature distinct patterns and an amazingly broad color palette. 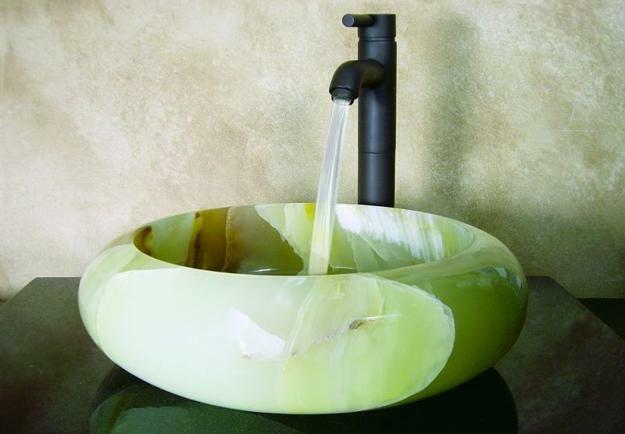 Tempered glass sinks are not just durable and functional, but very beautiful. 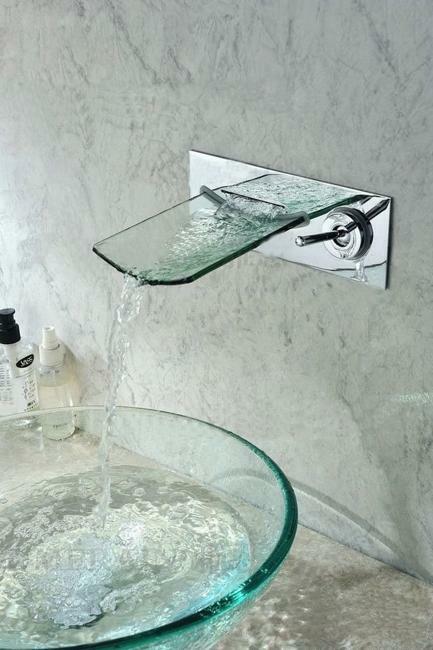 They look light, offering elegant shapes and transparent designs, perfect for a small bathroom. Metal colors, bronze, golden yellow color shades, copper shades are modern trends in decorating and design. 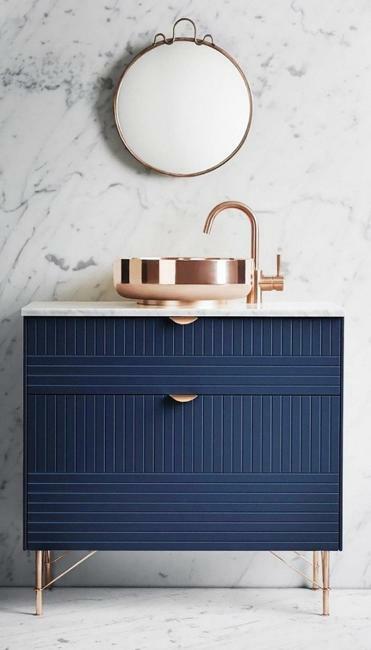 Metal vessels look attractive and stylish for years, setting the bathroom design trends which have the power to stay forever. 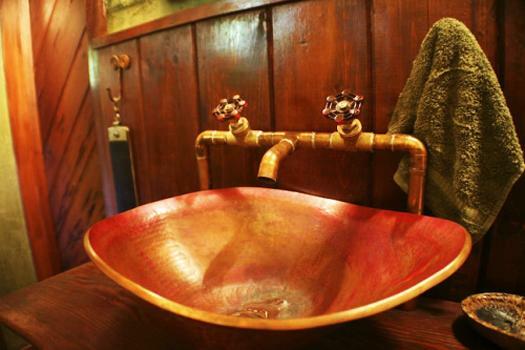 Aged metal designs look beautiful in country home bathrooms and ethnic interiors. Polished metal textures are perfect for contemporary bathroom interiors with an industrial vibe. 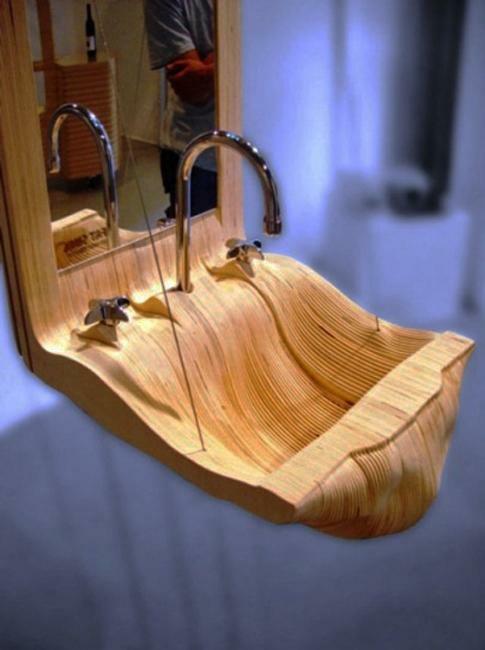 Cedar, oak, bamboo, and teak are the best materials for wooden sinks. Gorgeous textures, fabulous ring patterns turn wooden bowls into beautiful decorations that add chic to modern bathroom design. Vibrant colors are one of modern bathroom design trends which offer gorgeous accents. 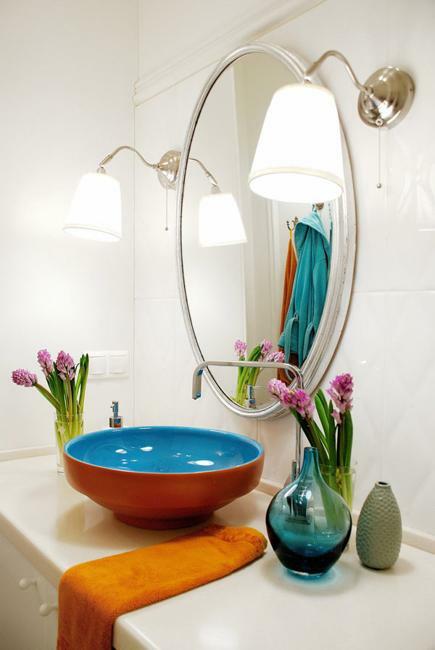 Ceramic sinks in warm colors make bathrooms feel cozy and pleasant.